Boot Camps - 1 Day, 3 Day or 5 Day Programs have been successful. Golf Schools - Half-Day, 1 Day or 2 Day have been effective. Black Hat Golf Tips - Get some free lessons and stay up-to-date on the latest. Corporate Seminars and Workshops - Good activity for company owners, new management teams or boosting moral among employees. Private Workshops are great for personal development. New Student Assessment - Your first step to get your personalized plan of action. The Black Hat Golf Boot Camp is suitable for all skill levels who would like to improve their golf game ‘once and for all!’ The program caters to new players and those who have already played before and want to improve! The award winning Club-Focused Instruction (CFI) curriculum will guide Beginners, Intermediate and Advance players to solid fundamentals and will help players enjoy their game more. The Certified CFI Instructors will modified to suit the needs of each group, with further refinement to the unique needs of each individual player. Time is allocated at the end of each day for the student to seek out special one-on-one attention from the instructors. Young or old, absolute beginner or highly skilled player, the Black Golf Boot Camp is designed to bring out your best and improve your game. The “Boot Camp” style training and golf development program is designed to provide opportunities for the player to enjoy golf and improve quickly. The player will experience a focus schedule and positive results will be both physical and mental. Covering all aspects of golf improvement, the player will become more proficient with his swing dynamics and mental performance skills. The training exercises are to be done in an inclusive golf and fitness setting so that the player’s body and mind can truly experience improvement. The Black Hat Golf Boot Camp Program is a unique training and golf development program designed to provide beginner, intermediate, and advanced players with the opportunity to improve their golf skills in a friendly group atmosphere. The program is conducted for golfers who are willing to focus with others who are hoping to improve their golf skills once and for all! Group classes undergo extensive training and are all geared to individuals needs followed by swing practice and on-course development is included. Various elite modules will be reviewed so that the group’s results are measurable and visible upon completion. Developed and directed by Tony ‘Black Hat’ Meechai, himself, the popular GOLF SCHOOL learning programs features the Multi-Disciplinary Platform (MDP) Curriculum. 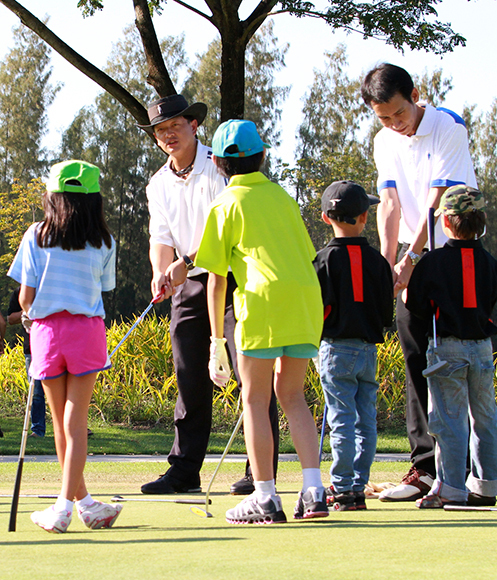 These consecutive day learning programs is an excellent opportunity to "Experience the Magic of Golf!” The programs provide the ideal structure for learning and enjoyment in an enjoyable setting conducive for learning. The golf school sessions are scheduled throughout the year. 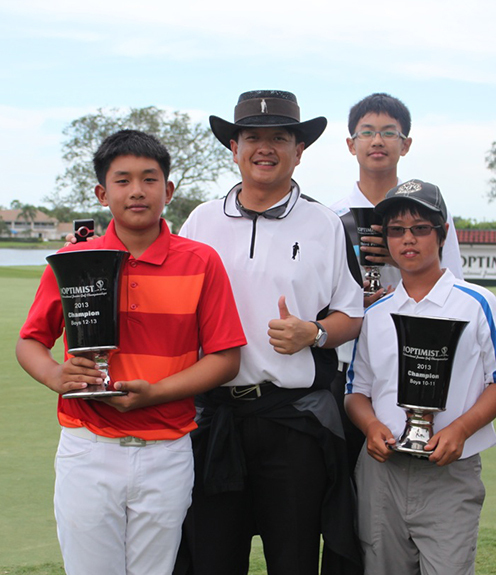 These programs have been developed to cater both the golfing tourist vacationer and aspiring junior players. As featured in Asian Golf, Black Hat Golf Tips are different, simple and effective ways to improve your golf skills. PGA of America Golf Professional Tony Meechai shares his golf teachings so you can experience the magic of golf from the confines of your residence. The tips are based on the belief that anyone can acquire the skills that are necessary to enjoy the game if the instruction is communicated in an easy to understand way. Black Hat Golf Tips have been very well accepted throughout the world. The approach is fresh, different and very effective! Read the latest tip in the Asian Golf Digital Edition at http://go.asiapacificgolfgroup.com/go/asian-golf-digital-edition or subscribe to Black Hat Golf TV to watch the latest episode as Tony 'Black Hat' Meechai demonstrates useful and simple solutions for your game! To him, teaching the game has got to be uncomplicated and simple to understand. As a coach who has a great following among juniors, one can understand why keeping everything simple stupid makes sense. Check out the latest tip today!